Teaching isn’t something you master; you’re never finished. A sign of teaching excellence is continuous learning. Materials themselves help teachers grow professionally, but alongside that teachers need good professional learning opportunities. Professional learning makes the work come alive. Student achievement rises dramatically when teachers work in climates of collegiality and continual improvement. 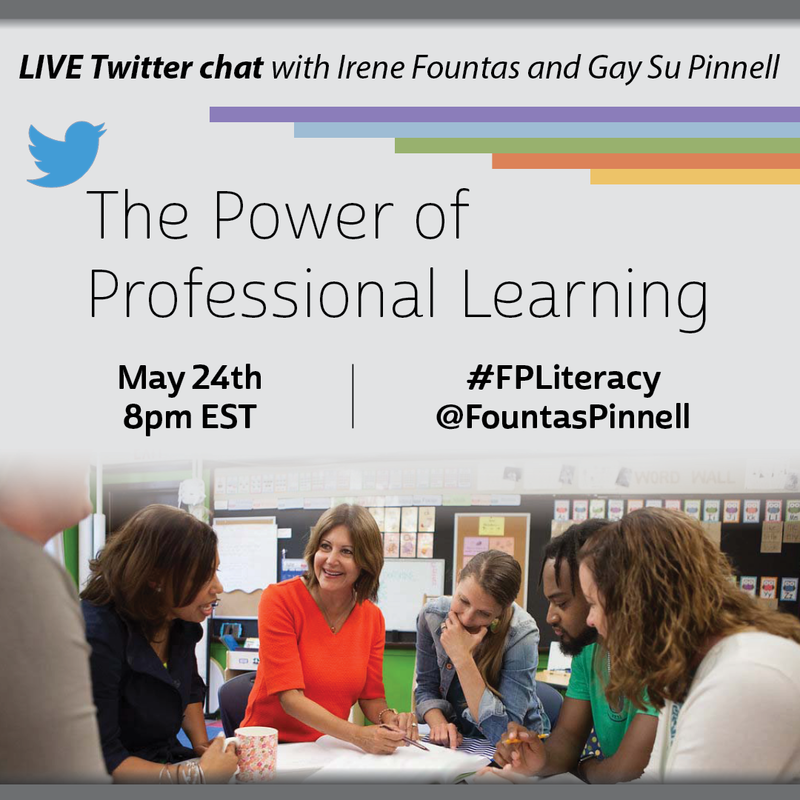 Join the Fountas & Pinnell Literacy™ Online Community to gain access to webinars, tools, discussion boards, and other resources that will keep your professional learning active throughout the summer! Back-to-School Twitter Chat with Fountas and Pinnell!